Back injuries are a part of everyday life. They can cause a sharp pain or a dull ache and can be accompanied by a tingling, numbness, or burning sensation. You also may feel weakness, pain or tingling in your pelvis and upper leg—a condition known as sciatica. The spine is quite good at dealing with back injuries. Minor injuries usually heal within a day or two. Some pain, however, continues. What makes it last longer is not entirely understood, but researchers suspect that stress, mood changes and the fear of further injury may prevent patients from being active and exacerbate the pain. If you experience back pain, consult your doctor of chiropractic. About 30 million Americans seek chiropractic care each year. Past surveys indicate consumers are very happy with the chiropractic services they receive. With a thorough knowledge of the structure and functioning of the human body, doctors of chiropractic make diagnoses and take conservative steps to correct problems using spinal adjustments, dietary and lifestyle advice, and other natural tools. 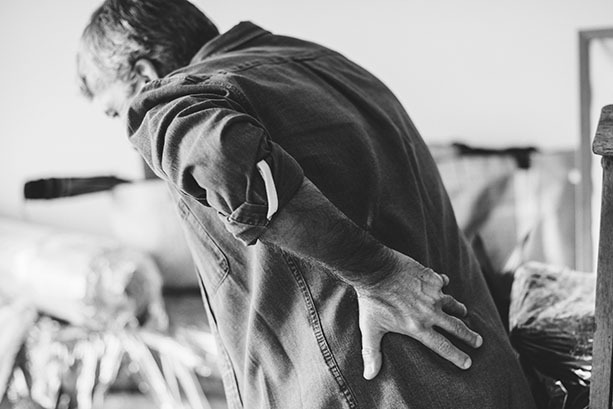 Spinal manipulation—one of the primary forms of treatment performed by doctors of chiropractic—is a recommended option for back pain treatment, rated as such by many state and workers’ compensation guidelines.